With fundraising and auctions, we have come to expect the unexpected. I sit in on a lot of product demos and listen to customer questions. A common question from our clients is, “What if something goes wrong?”. No doubt they are expecting a response that will assure them that their event will go like clockwork. However, that is simply not realistic, something unexpected is bound to occur. The real question is, what can and will you do when something fails to go according to plan? Despite your meticulous planning, fundraising events are complicated endeavors with many moving parts. Unexpected things WILL happen. You can’t have a contingency plan for every possible problem, so be prepared to problem solve during your event. Remember, you knew that not everything was going to play out the way you expected. You will think more clearly if you are relaxed and focused. Determine the severity of the issue, how many people does this impact? How quickly does this need to be solved? Know in advance who will be available to handle certain types of issues (network, venue, catering, A/V, guest issues, auction, programming). Have one or two people available during the event that can tackle almost any issue so you can stay focused on the rest of the event. Appropriately means to solve it in a way that will largely address the issue with the least amount of effort, noise, and impact to the rest of the event and your guests. Determine what happened and why it happened? Figure out why the problem occurred and think about what can be done to avoid this problem for future events. Don’t be quick to react by firing your caterer, venue, event planner or software vendor. Certainly if they were negligent then consider that option; however, if the issue was one that they also didn’t expect, evaluate how they solved the problem. How prepared were they? How quickly were they able to react? Did they solve the problem to your satisfaction? We employ this approach at almost every event, whether it be for our own fundraisers or ones we are running for our clients. Let me give you a real-life example of using these tips with our own Kentucky Derby fundraiser here in Denver. We have been running this event for years, so when I tell you that we know exactly how things flow, trust me, we know. For the last four years, we have used the same caterer, venue and auction company (Handbid). Things have run smoothly for years, so perhaps we were due this past year for a set of problems we didn’t expect. Problem 1: We ran out of bourbon for the mint juleps. How is this possible? I mean we have been doing this event for years right? Shouldn’t we know how much bourbon we would need? Yes, of course we had an idea. However, our caterer decided that they were going to speed up the “mint julep making process” and shorten the lines at the bar by pre-mixing the bourbon with the simple syrup (sugar water). I think they may have forgotten that alcohol is less dense than water (or they missed that topic in Physics class). So in the large drink dispensers, you could see a pale yellow liquid on the bottom 2/3 and a batch of bourbon floating on the top. They were not consistently stirring the mix, so the first several dozen mint juleps were all syrup and those last few juleps were pretty strong!. We needed to resolve this and the appropriate solution was to start making them the old-fashioned way - one at a time. Jumping into problem solving mode I asked the caterer to not do any more pre-mixing (they had additional containers of simple syrup on standby) and to dump out the ones they had already done. However, they had used ALL of the bourbon we had provided in the pre-mixed vessels. So, after a deep breath, I evaluated the severity of the problem. 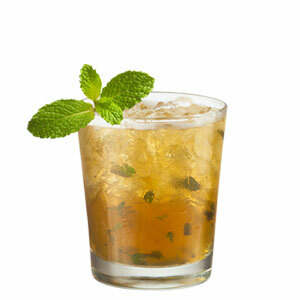 We determined that this would impact a large number of guests who enjoy this drink (after all, it is a Derby party). I assigned the problem to a designated person I had available. With a credit card in hand I sent him down the street to a liquor store to buy enough bourbon to replace what we were going to toss. Twenty minutes later, problem solved, crisis averted. Most guests were un-aware. Party on… until problem #2. 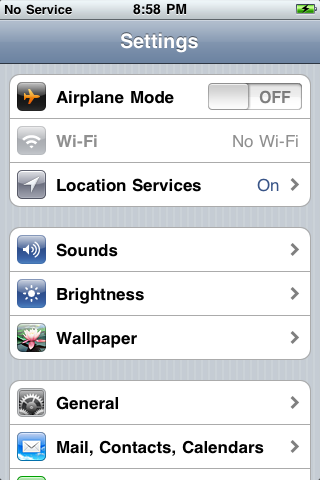 Problem 2: The venue’s WIFI network goes down. This problem caught up completely off guard given the fact that we had hosted our event at this location for years, and the venue was owned by a cable company (to remain unnamed!) They have fantastic internet speed. We also paid to have an onsite tech support person from the venue available. When the WIFI network went down, I quickly tracked our tech support person down to solve the problem. Unfortunately, he had no idea how to address it. He specialized in the A/V system but NOT the Internet. In fact, none of the venue representatives knew what to do in this situation. Swinging back into problem solving mode I repeated the first step…. a deep breath. We will get through this! Onto step two, assess the severity of the problem. This one is fairly big in our always connected mobile age.. We needed WIFI for the laptops that were running our Derby betting software, as well as for the iPads running Handbid’s bidding platform. Most guests were using their phones on the cellular network so the problem was isolated to about 10 iPads and 5 laptops. Next, I found two technically capable individuals and got them on the task of setting up hotspots using three cellular devices. The appropriate solution was not to wait for the venue to track down a network technician but to instead move over to using the cellular network. Within a few minutes we had all iPads and laptops moved over to cellular hotspots and operational (thank you AT&T). The venue eventually did correct their issue, but by then we were well into our event and we didn’t bother to convert back as everything was running smoothly. There you go - two problems that occurred all within a span of 30-45 minutes during our flagship event. These were things we never expected to happen but did. After the event we had a review and recap with our team and vendors in order to determine how to avoid these and similar issues in the future. The resolution was very simple for each problem: the venue must have a person on call who is capable of handling network issues; and the caterer will never again pre-mix mint juleps! Who knows what will happen next year (maybe it will snow a foot in May… after all, it is Denver) Regardless, by following our formula for event problem solving we are confident that we will be able to handle it. What unexpected problems have you run into with your fundraiser or auction? How did you solve them and what have you learned? We would love for you to share your problem and solutions with us. Or let us know if you still have a fundraiser problem that we can collectively brainstorm on to avoid in the future.